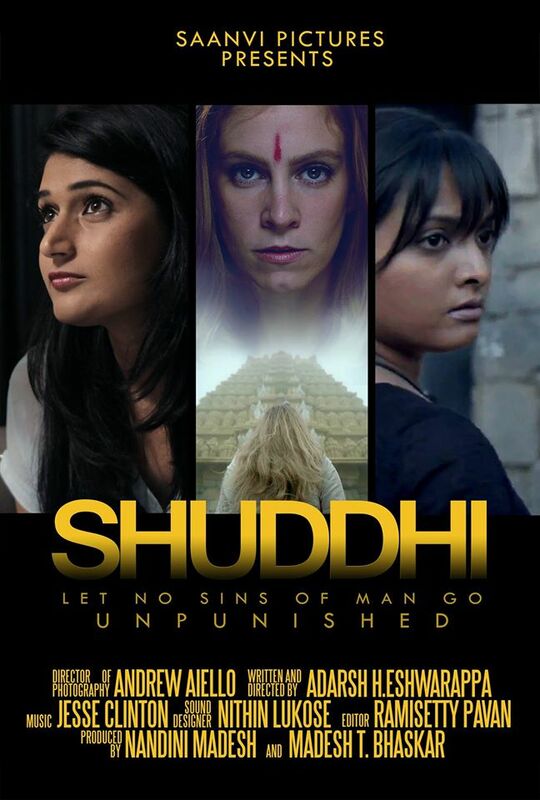 Adarsh Eshwarappa‘s Shuddhi is a forthcoming Kannada film which is the the story of an American girl’s spiritual journey in India, after she befriends two female journalists who are fighting against the country’s lenient Juvenile Justice Act. Produced by Nandini Madesh & Madesh T. Bhaskar, the film features Niveditha, Lauren Spartano, Amrutha Karagada in the lead. Andrew Aiello is the DOP while Ramisetty Pavan is the editor and Jesse Clinton is the music composer. The promo has been well received already. ← Raees vs Kaabil: Clash of the Titans?